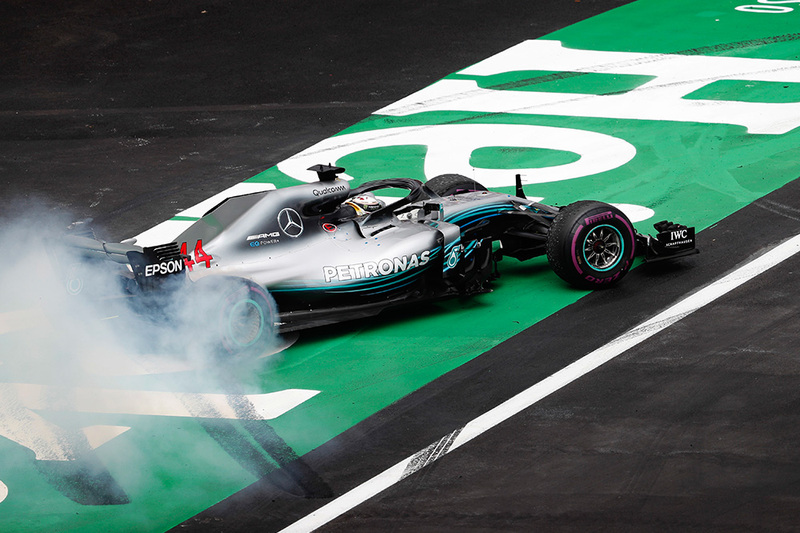 Sunday afternoon in Mexico saw Lewis Hamilton crowned Formula One World Champion for the fifth time, equalising the legendary Juan Manuel Fangio’s record. Before the weekend, Hamilton said he hoped to take the title with a race win, but it was not to be. The Red Bulls had the pace advantage all weekend, and locked out the front row. Hamilton got a good start from the second row, but by the first corner Max Verstappen was in the lead and the Mercedes driver was left managing his ailing tyres the best he could, eventually crossing the finish line in fourth place – enough to claim his fifth drivers’ title with two races remaining on the calendar. On Saturday night, Daniel Ricciardo was the hero of Red Bull. On pole for the first time since Monaco, the Australian racer looked set to dominate the Mexican Grand Prix – as long as he could keep his teammate behind him. But Ricciardo was overtaken off the start by both Hamilton and Verstappen, and was racing in dirty air from the outset. Having followed Hamilton into the pits for an early stop, by lap 25 the Australian was complaining of tyre trouble. Within ten laps, he had been passed by Sebastian Vettel. 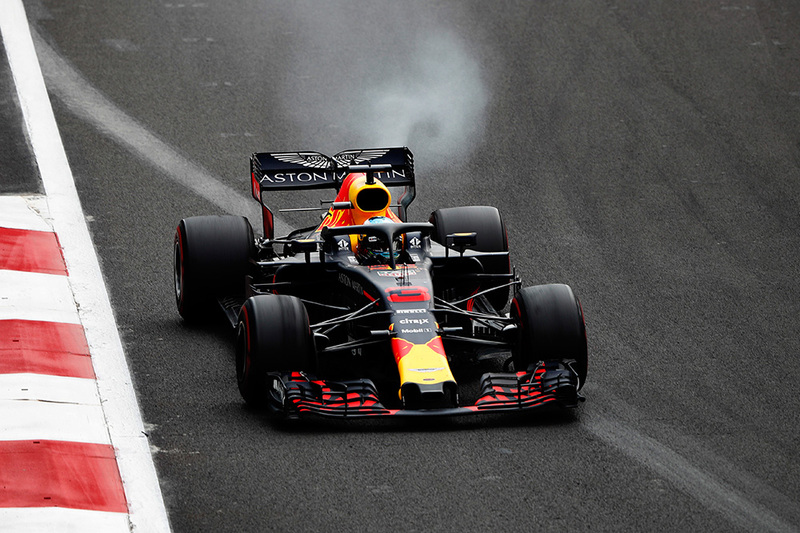 By lap 49 Ricciardo had worked his way back up to second, ahead of Vettel, and the former teammates spent several laps racing closely before disaster struck on lap 62 and the Australian’s engine failed. “Check my engine! If you need to turn it down, turn it down!”, said Verstappen on the Red Bull team radio, after teammate Ricciardo’s retirement. 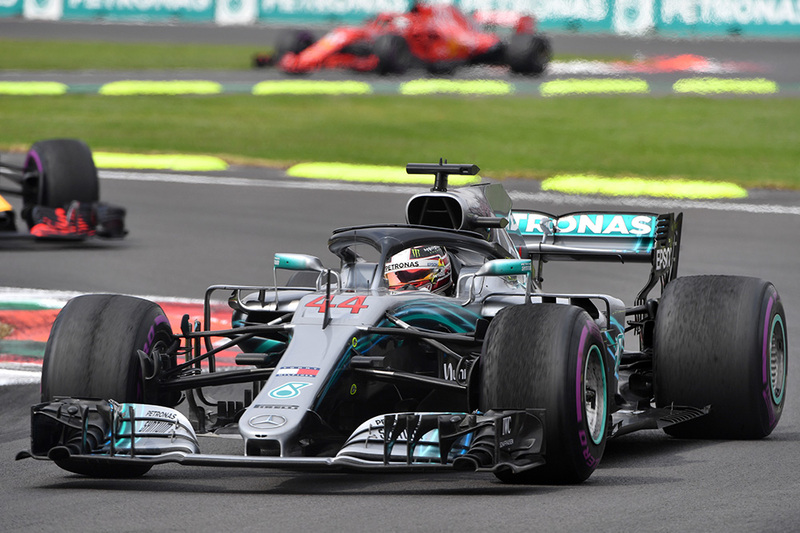 The championship decider was a race affected by heavy degradation and blistering of tyres, with both Red Bull and Mercedes seeing their drivers suffer as their rubber let them down. With a two-stop strategy – the predicted fastest option – the pit stop window opened around lap 5. Hamilton and Bottas both boxed on lap 11, followed by Ricciardo on lap 12. But within a dozen laps both Hamilton and Ricciardo were complaining of blistering and heavy wear. On lap 47 Hamilton entered the pits for his second stop, but a switch to ultrasofts made little difference to the Briton’s pace and within five laps he was complaining about performance on the new rubber. Vettel matched Hamilton’s two-stop strategy, but with much better wear rates, while Raikkonen – who finished in third – managed a one-stop strategy to the flag.